Inbound marketing is a fairly new discipline. At first it can be a bit fuzzy seeing how this methodology gets results. What is clear is that inbound marketing is coming on strong and it stems from clients asking for bottom line results from their websites. Once you see your visitors converting to customers, the full power of this methodology comes into focus. Here’s a pretty clear case study from one of our clients. It will help you see how putting inbound marketing into practice leverages sales. First let’s define, what is inbound marketing? Inbound marketing is attracting “searchers” to your website and then creating a relationship with them by being a trusted resource as they explore your business category. Let’s break that down further. We call an inbound web visitor a “searcher” because they are not an idle passerby of your site. When an inbound searcher comes to your site it’s because they searched (in a search engine) for an answer, a solution, information, or options that connect with the content that you have on your website. How do you attract searchers? Or maybe a better question is – how does your site get presented in search engines? The answer is - with content. We have all had the experience of looking for that perfect listing in a search engine that is an exact match for what we need at the moment. Content is the magic dust of inbound marketing. Your content plan has to be good. Here is a secret - best way to create content that gets presented in search engines is with a blog. The first month, that guide was viewed about 300 times and about 7% of all viewers shared their information with us and downloaded that guide. It resulted in one customer. In the fourth month of the campaign, they had added lots of blogs that captured keyword rankings which increased their website traffic. More helpful tools and bits of information were offered on the site. And in that fourth month 399 people downloaded the guide and 20 of them became customers. So, what is the glue that matches your content with the searcher in a search engine? The answer is keywords and phrases. Keywords that are attached to your content. Your blog, in particular, is the most powerful way to rank in search engine listings. Google is smart. Google knows that searchers want real information and not marketing and advertising. So, Google ranks content and not just pages. This is the big shift that has made inbound marketing the powerhouse results machine that it is. 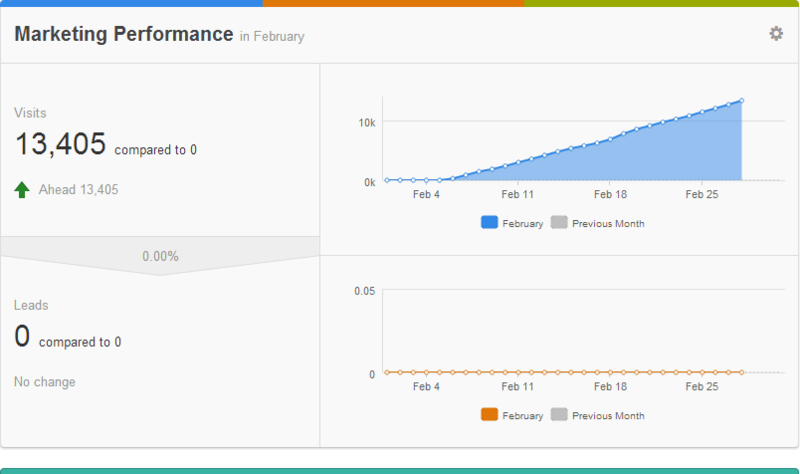 That mini case study client that created the guide and got 300 views in the first month? In that first month, they were ranked in the top three listings for 3 search phrases. And, they were only found in searches when the searcher used the business name. In other words, everyone searching for that company already knew their name when we started inbound marketing. In the fourth month of their inbound program, they were ranked top three for 27 keyword phrases. Now let’s connect the dots. In the first month of the program they had one customer (300 downloads). 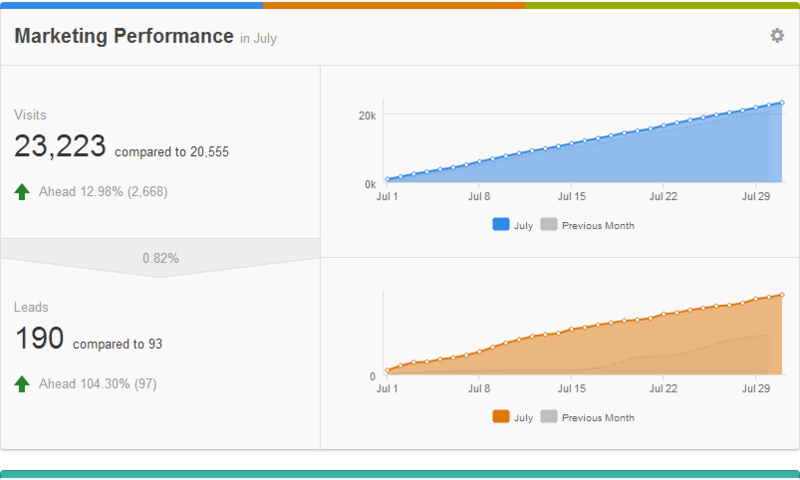 In the fourth month they had 20 from inbound marketing (399 downloads). Why was their customer conversion percentage so much higher in the fourth month? Because people that did NOT know their name started finding them through searches and the content influenced them favorably. More people decided to do business with an organization that helped them make smart decisions. Inbound marketing is really just anticipating the content that your customers will need and want and then giving it to them. It seems so complicated but once you have seen the power of it, it is simple magic. Anyone can do it. Of course there is more magic that goes into a plan that builds your business with inbound marketing but you can keep reading our blog and the tricks will be revealed. This is, after all, an inbound content blog.